Gladson, a portfolio company of Wicks Capital Partners (“Wicks”), announced today that it has acquired Nutritionix, the largest verified nutrition database in the world. Nutritionix has developed a leading interactive digital platform that its users can upload, organize, track and publish nutrition data. As a global nutrition database, Nutritionix provides comprehensive nutritional attribution of grocery and foodservice products and restaurant menu items to hundreds of brand manufacturers including restaurant chains, search engines and health apps. They also provide thousands of high-order nutritional attributes, ingredients and “beyond-the-package” allergens to support brands with the SmartLabel® product transparency initiative. The combined solutions of Gladson and Nutritionix now provide the most complete and verified product content, nutrition and allergen information available from a single-source provider; enabling businesses to publish transparent food product data that is complete, up-to-date and accurate. “Nutritionix is ecstatic to join Gladson because they perfectly align with our mission to make it easier for consumers to understand what they are eating, and to enable food brand manufacturers to provide full nutrition transparency,” said Matt Silverman, Co-Founder, Nutritionix. “Gladson, FSEnet+ and Webcollage are well-known for their library of consumer product content and images, along with an incredible network of brand manufacturers, foodservice distributors, foodservice operator and retailer clients. Our integration gives greater capabilities for transparency to the foodservice and consumer packaged goods industry.” Silverman is Co-Founder and Managing Partner of Nutritionix along with Daniel Zadoff. 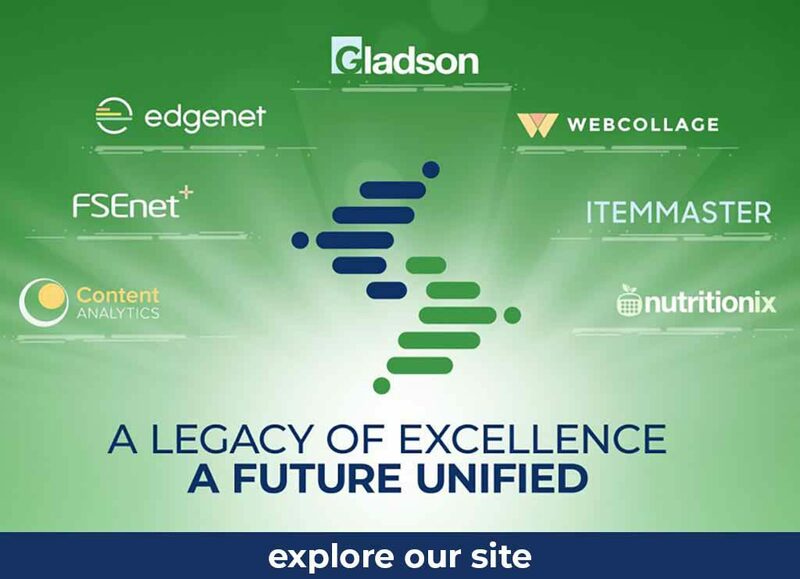 In March, Gladson acquired both FSEnet+, a GS1 GDSN certified data management and syndication provider, and Webcollage, the leading cloud platform for managing and publishing rich product information across a vast network of retailer sites globally. Combined with Gladson’s industry-leading digital content hub of consumer goods product information and images, the four companies together represent the industry’s only single-source provider of consumer product information and content from supply chain to end customer utilization, offering a powerful end-to-end product content experience across multiple industries. Wicks and Gladson were advised by Winston & Strawn LLP on the transactions. Wicks Capital Partners (http://www.wicksgroup.com) is a private investment firm based in New York City that invests in lower-middle-market companies operating in selected segments of the information industries. Since its founding in 1989, Wicks has invested over $1 billion of capital in more than 30 platform companies and approximately 100 add-on acquisitions. The firm has applied a consistent investment strategy since its founding, partnering with high-quality, experienced management teams to build businesses organically and through acquisitions.